After months of gathering momentum, a big, bold plan to merge the grid markets of California and Rocky Mountain utility PacifiCorp has been put on temporary hold. Depending on who you talk to, that’s either a reasonable accommodation to a very complicated attempt to bring new efficiencies to the western U.S. energy mix, or a victory over coal-fired power plants in Utah and Wyoming -- with more battles to come. Instead, he’s asking the state’s energy regulators, along with their regulatory counterparts in the states where PacifiCorp operates, to continue working with the utility California’s grid operator CAISO, and to come back in January with “a strong proposal” for each state to consider. Brown, who has supported the plan to merge the two companies’ grid energy markets since the concept was launched last year, made it clear in Monday’s letter that he’s still committed to working on making it happen. “Implemented correctly, a regional grid will enable greater renewable development, lower costs and carbon emissions, and improved electricity reliability,” he wrote. That matches the general consensus that the U.S. West grid system, with 38 different grid operators and utilities, needs to be “regionalized” in some way to lower costs, reduce duplicative investments, improve reliability, and integrate renewables at scale. 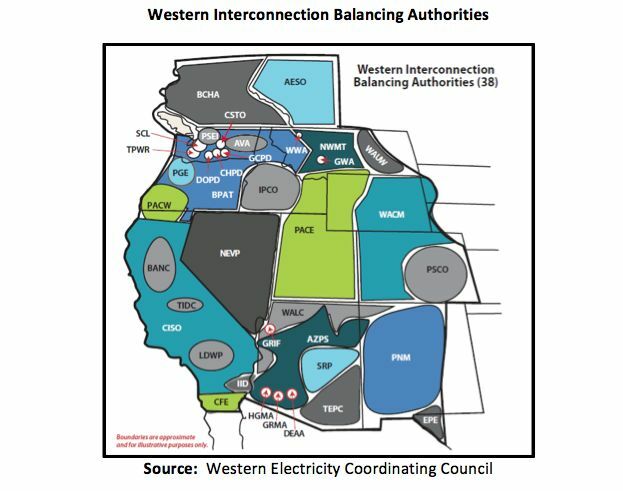 Right now, most of the balancing authorities across the region covered by the Western Electricity Coordinating Council (WECC) manage their trading of energy via bilateral contracts traded on an hourly basis. That offers much less liquidity and transparency than the sub-hourly markets run by grid operators like CAISO, PJM or ERCOT. These issues will become more critical as the West brings more intermittent renewable energy on-line. CAISO cites several studies that show a regional energy market is the most cost-effective way to achieve California’s 50 percent renewable portfolio standard, as well as providing better "advanced planning, lower-cost power purchasing, and increased situational awareness." CAISO opened the door to trans-regional energy trading in a smaller scale way back in 2014, when it expanded its Energy Imbalance Market to include PacifiCorp, as well as Nevada utility NV Energy. Both utilities are owned by Berkshire Hathaway, part of Warren Buffett’s growing energy empire. But a broader grid integration could yield much greater benefits than those seen from the EIM expansion, according to a July report from CAISO (PDF). Implementing a regional energy market including CAISO and PacifiCorp would reduce power-related carbon emissions by about 12 million tons by 2030, and save California ratepayers up to $894 million, with some $691 million of that attributable to regional renewable procurement savings, the study found. At the same time, we’ve seen some parties express concern that the merger, made possible by last year’s passage of California energy bill AB 350, has been moving too fast. Those include public power providers like the Sacramento Municipal Utility District, who’ve said they’re concerned the expansion could have unforeseen effects on the cost of energy, transmission charges and other issues. 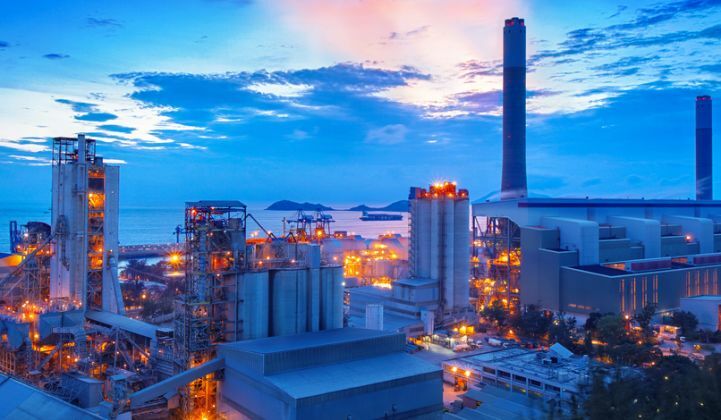 It also includes the Sierra Club, which has pointed out that the CAISO study indicates that the merger of CAISO and PacifiCorp’s generation assets in a single market could slightly increase the economic efficiency of its large coal power plant fleet. That’s worrisome to the environmental group, because it says that it could give PacifiCorp an edge in its attempts to keep those plants running for years to come. 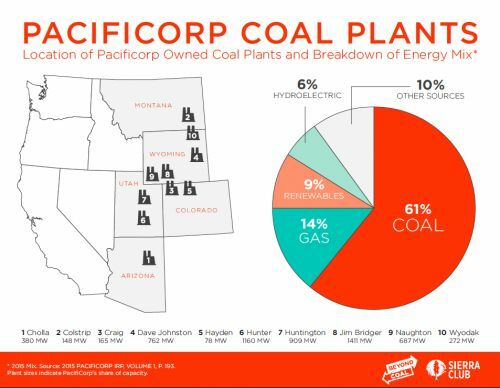 But there’s significant debate amongst watchers of the CAISO-PacifiCorp merger over whether it will end up boosting coal, or exposing it to competition from cleaner, cheaper resources that will hasten its phasing out from the region’s power mix. “If anything, this will expose the coal plants in the rest of the West to competition, which is what we need to do,” California Energy Commission chairman Robert Weisenmiller said at a July workshop. As for CAISO data that shows the potential for an increase in carbon emissions from coal power plants as a result of the merger, Zichella said that those calculations used a generic emissions rate of a natural-gas combined-cycle power plant. "If you adjust that metric slightly, it goes way down,” he said.